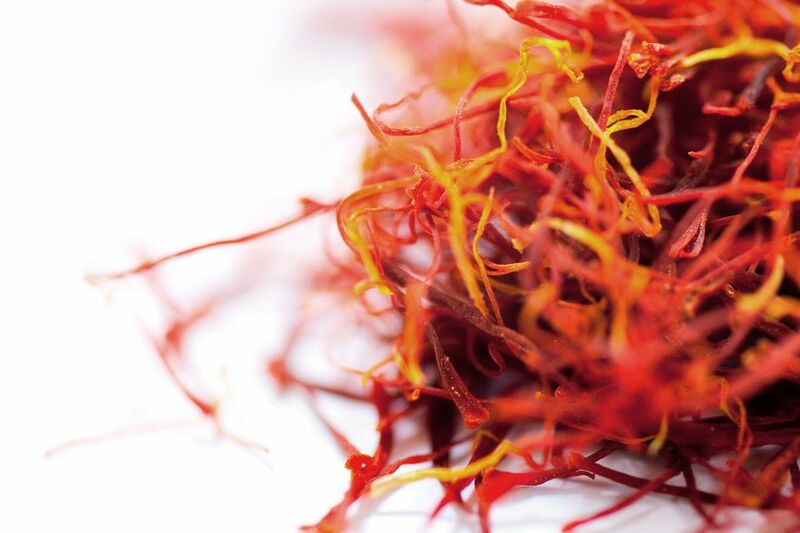 The word saffron derives from the Arab word zafaran, meaning yellow, and it was mentioned as far back as 1500 b.c. in many classical writings, as well as in the Bible. Further derivations come from the Old French safran, Medieval Latin safranum, and Middle English safroun. Saffron is harvested from the fall-flowering plant Crocus sativus, a member of the Iris family. It is native to Asia Minor, where it has been cultivated for thousands of years to be used in medicines, perfumes, dyes, and as a wonderful flavoring for foods and beverages. Although the majority of the world's saffron is produced in Iran, Spain is the world's largest exporter of saffron. The red-gold threads were also highly prized by pharoahs and kings as an aphrodisiac, yet large amounts produce deathly narcotic effects. • Saffron Copycats - Warning!